What's new in hale studio 3.3.1? The majority of the new features and improvements were made possible through our contracts with more than 20 customers. We'd like to thank you all for your support! hale studio extends its integration with the online collaboration platform by allowing to save projects directly to hale connect. 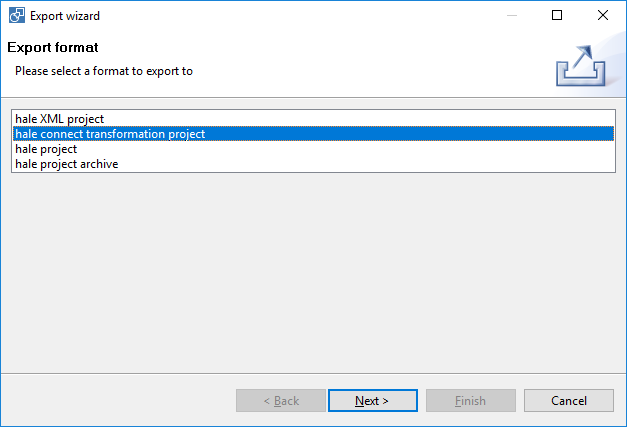 This allows for a true online workflow where your changes to a project that was saved to or loaded from hale connect will be saved directly to the remote project without the need of another export. You can switch back to an offline workflow at any time by saving your project to a local file on your computer. 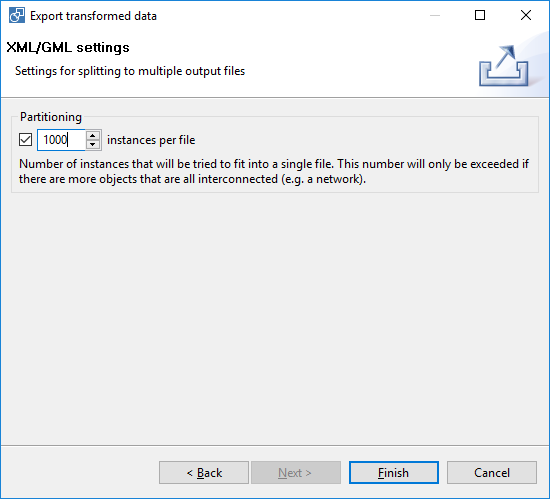 When exporting data as GML, the exported data can now be partitioned into multiple output files. The number of features per file can be configured during the export. The PostgreSQL schema import now supports loading materialized views alongside tables and regular views.